We lawyers are “word” people. What we do for a living, in our case as top attorneys vis-a-vis the Bureau of Automotive Repair, involves words. What do words mean? Where do they come from? Some of those words are “official words” as when you receive a formal citation from the BAR. 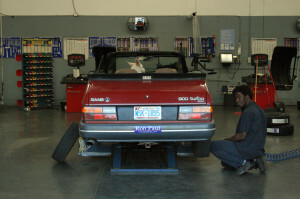 Others are informal words, such as the words used by auto technicians around the garage. And then there are words like SMOG which occurred historically by combining other words, such as SMOKE and FOG. In that spirit, we’d like to take apart a common word we come into contact with frequently in our dealings with auto repair shops and technicians, from San Diego in the South to Eureka in the North: citation. A Summons: as in a traffic ticket. This is the meaning associated with receiving a “citation” from the Bureau of Automotive Repair. A note accompanying an award – as in a Nobel citation, meaning you’ve received an award and the “citation” explains some details about that award. In Law, a “citation” can also mean a reference to a former case. In your case… “citation” probably refers to a formal notice you’ve received from the Bureau of Automotive Repair. Your next step might be an “informal appeal” or (better yet), reaching out to a trained attorney who has worked in Bureau of Automotive Repair issues for many years. As for the etymology of citation (the origin of the word), there are some interesting facts here, too. The word “citation” comes from Middle English and Old French from Latin “citare” to cite, which has roots in the word “to move” or “stir.” So, in a sense a “citation” from the Bureau of Automotive Repair is an impulse to “move” you to act – in this case, to reach out to a lawyer who can help you navigate the maze of words that is our bureaucratic and regulatory system here in the Golden State of California.